Emmerson Mnangagwa, a former vice president of Zimbabwean , who was sacked by Robert Mugabe, would be sworn in Wednesday, media reports say. Local media and Zimbabwean sources said Mr. Mnangagwa would be sworn in within 48hours that's Wednesday to replace Mr. Mugabe who resigned on Tuesday after 37-years in office as president. The 75-year-old was removed from office and exiled 13 days after Mr. Mugabe accused him of disloyalty and insubordination. Mr. Mugabe had reportedly taken the action to pave way for his wife, Grace, to emerge as the new leader of ruling Zanu-PF ahead of the country’s general election next year. 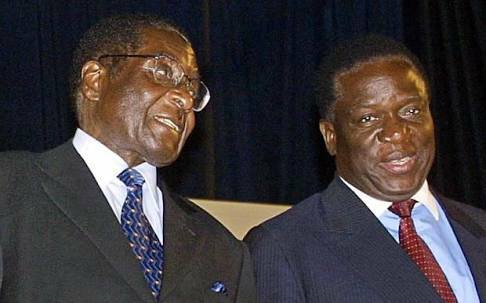 Mr. Mnangagwa is said to be popular amongst the powerful War Veterans group and the Zimbabwean military chiefs. The ruling party is said to have adopted Mr Mnangagwa as their candidate for the next years Presidential elections.